The scooters are supposed to help take burden off the MTA system in lieu of the upcoming L train shutdown. Council Member Antonio Reynoso is supporting legislation to legalize the use of electric scooters in New York ahead of the upcoming L Train shutdown. Last month, he hosted an event with Bird, a private company hoping to be the resident e-scooter share in New York City. The event invited Brooklynites to ride the company’s e-scooters In La Guardia Park. “New Yorkers are being shortchanged by our city’s current transportation system,” said Council Member Reynoso in a statement. "As someone who represents one of the districts that will be most impacted by the L train shutdown, I believe we need an 'all-of-the-above' approach to transit, especially at a time when our subway system is in crisis," said Council Member Raphael Espinal in a statement. Any New Yorker who has used public transportation has felt what Reynoso calls, "a decay." “Our bus and subway systems are antiquated, our infrastructure is decaying, and in some areas, it is difficult to access the limited options that we do have,” Reynoso said of the long MTA wait times and shut-downs. E-scooters are the proposed way to ease the burden on the system. “We must take a bold and innovative approach to this problem by considering all of the transportation alternatives available to us,” he said. The implementation of an e-scooter bike share may not be as easy as it sounds, as Bird’s roll out in other major cities have not gone to plan. 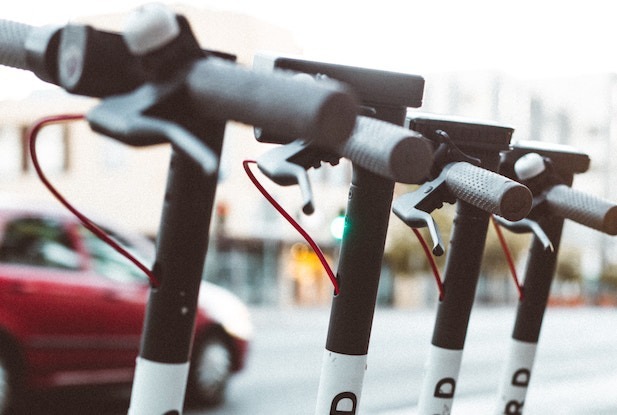 Bird, the California based start-up works different than Citibike, the ride share currently available to many New Yorkers. For one, their scooters are not docked like Citibike. App users could locate available scooters in their area, like Lyft or Uber. Though it sounds like a convenient alternative to the MTA, most of the launches of Bird in other major cities have only lasted about a month. Generally, the company has been landing in cities without filing paperwork or consulting the cities at all. Cities like Austin, Texas changed the laws to keep Bird out, Miami issued cease and desist orders and Honolulu, Hawaii, went so far as to threatening fines on users of the app. While Reynoso is not involved in the writing of the legislation legalizing e-scooters, he says he will support it when it's finished. "E-scooters are poised to be the next big player in New York City’s transportation landscape," said Espinal in a statement to Bushwick Daily. "It's easy to see why: they are cheap, environmentally friendly, and easy to use," he said. "Studies have also shown that they tend to be more popular with low-income groups, which can help alleviate some of the transit inequities we currently face."